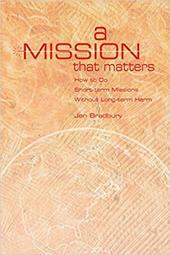 My new book, A Mission That Matters: How To Do Short-Term Missions Without Long-Term Harm, is out! As a youth worker, I wholeheartedly believe that mission trips have the ability to impact teens in an incredibly transformative way. However, doing so requires a great deal of thought before, during, and after your trip. A Mission That Matters: How To Do Short-Term Missions Without Long-Term Harm guides you through the process of preparing for and leading a mission trip. It equips you theologically and practically for everything you'll need to do a mission trip well, while minimizing long-term harm on the community you seek to serve. Missions are something I've written a lot about on this blog, but over the next few weeks, I've invited several people - all of whom I've had the privilege of being on a mission trip with - to weigh in on various aspects of mission trips. Today's guest post is by Emily Gorz. Emily is the US Program Manager at Exodus World Service. In this role, she facilitates refugee ministry. I first met Emily when she was a student in my youth ministry, unsure even what a refugee was. I had the privilege of taking Emily on several mission trips when she was in high school and watching her discover the world. When Emily's not working, you can find her serving as an adult leader in her church's high school youth ministry or exploring her new neighborhood in the city. “Partnering” with a community sounds a whole lot better and more dignified than saying you are “helping” them, right? While we know this distinction is important, I’ve found that it can be easy to forget what partnering actually means, whether that be on a short term mission trip or with a local community. Partnerships mean that you dream together. The vision for the next great trip or program doesn’t solely come from your congregation. Looking to the future is powerful when all parties are at the table. It gives you a starting place so you can begin to answer the questions: “Where does my congregation fit into this?” And “Where are areas that the community is already working in that we we can come alongside?” This means not just asking questions of community leaders but truly listening to the answers they give - even if it’s not what you expect to hear from them. I got to know a congregation when I was serving on staff for a short term missions organization in Louisville. They had been on our trips multiple times, but really had a heart for a ministry that was being run out of a church in a different area of town - one that my organization has previously partnered with, but had to step back from directly serving with. After this congregation came for their week long summer mission trip, they stayed in touch with the Louisville church during the year, and began to build a friendship outside the context of their short term trip. One year went by and I saw via Facebook that the same church organized their own trip directly with the church in Louisville. They didn’t return to the missions organization the next year because they didn’t need to. The relationship and friendship was solid enough for this group to fall in step directly with a community they cared deeply about. While the missions organization lost out on business for that year, I think it means that they ultimately did their job: They fostered a connection between two congregations that will outlast any short term mission trip. It’s easier said than done. I’ve struggled with being honest with community partners about what needs my organization can meet. When you are working with a group that you have a good relationship with, you may have the greatest intentions to try and meet every need and be a part of every project. I’ve found it’s helpful to take a step back and take stock of what your congregation has to offer: What's your capacity and where are your gifts and talents? Be clear on what it makes sense for your congregation to be involved with when you are working with your partnering community. If you take on more than you can handle, you risk damaging the relationship with the partnering community. Partnering means that you both show up. I’m sitting in a coffee shop working on this very blog post while I'm waiting for my next meeting to start. My friend James walks in. He’s the community leader for a specific ethnic group that I partner with for work. We try to meet frequently. Sometimes we’re in a coffee shop, the McDonalds lobby, a library, or in his backyard eating watermelon with his family. I’ve found these meetings to be so important for our partnership and for our relationship. This community of people have become very real friends to me - people I care deeply for and feel cared for by. So when we meet, we always take the time to catch up. I ask James about his kids who are starting school next week and what happened with his car that broke down last week. James asks me about my family and how I’m settling into my new apartment. But then, right before I jump into business, it suddenly crosses my mind that the answer to this question “What does it mean for congregations to genuinely partner with communities?” isn’t actually something that I can answer only using my experience. So I rely on the expertise of my friend. He pauses, smiles, then gives me lots of good quotes - stuff that would make our partnership and my ministry look really good. There’s a sinking feeling in my stomach. In that moment, I know that even with the best of intentions, in the best partnerships, there is still hard work to be done. One year into this partnership it feels like failure. And likely when a congregation enters into partnership, they’ll run into a place where they feel that tension too. But that’s it, isn’t it? Above all else, partnering with communities means entering into the hard work of mutuality, knowing that it’s almost always a battle you’ll lose but still fighting for it anyway. This doesn’t come easy, and it doesn’t come from regular meetings alone. If you're serving alongside communities you need to be responsible to fight against power imbalance and pursue authentic partnerships every chance you get. “Something more” is the redemptive and restorative work that opens up in true partnerships. “Something more” means that your relationship with a community isn’t a transaction that leaves you feeling good about yourself at the end of the day. “Something more” means inviting God into the equation to be an active part of your relationship. Mutuality may not be something that comes immediately. Dreaming together, being honest, building relationships and fighting for mutuality is part of the imperfect nature of these partnerships. But I think it’s worth it. There’s hope that in meaningful partnerships your congregation will find that “something more”. And that “something more” is worth fighting for because that’s where the fruits of any partnership are found - you’ll find both richness and frustration. You’ll get to work towards good things and get it right some of the time, but you'll also sit in moments where things are off balance and you have to try again. So if you want to partner with communities, even when it’s not perfect, wait for that “something more.” That’s the evidence of kingdom work when you just can’t put into words what truly lies beneath a partnership. 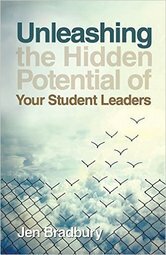 To learn more about how to cultivate partnerships in and through your short-term mission trips, order your copy of A Mission That Matters here today!